This book is a collection of essays, authored by eminent scholars in evolutionary computation (EC), artificial intelligence (AI), operations research, complexity theory and mathematics. 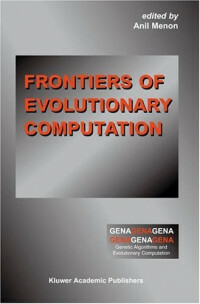 Each essay revolves around important, interesting and unresolved questions in the field of evolutionary computation. The book is designed to be a resource to at least three categories of readers. First of all, graduate students will find this book a rich source of open research issues. Imagine participating in an EC research seminar conducted by some of the best scholars in and around the field! The book also gives experts a chance to compare and contrast their understanding of the fundamental issues in EC with the perspectives of their peers. Finally, to the interested scholar it offers a sample of the kind of problems that are considered worth solving in EC. Much has been written about how great solutions often have a certain aesthetic appeal (symmetry, simplicity, originality, unity and so on). In sharp contrast, characteristics of great problems remain something of a mystery. It is useful to think of a problem as existing in at least one of four states: undiscovered, unsolved, solved and hibernating. However, truly interesting problems — great problems — manage a simultaneous, contrary existence in all four quadrants. A great problem, to echo Walt Whitman, is often large and contains multitudes. Every mature field has its great problems. Even fields with a progressive tradition, like Physics and Mathematics, have problems that refuse to stay solved. The problem of explaining the directionality of the thermodynamic arrow of time, and the debate over whether mathematical objects are invented or discovered are but two examples that comes to mind. Great problems act as co-ordinate systems for the geography of our imaginations and explain why we do what we do. This book grew out of a proposed session for the 2001 International Conference on Artificial Intelligence in Las Vegas, Nevada. I had thought that a collection of authoritative essays, each devoted to the description of a substantially unsolved problem in EC, could help bring coherence to the field, clarify its important issues, and provoke imaginations. The session was jokingly dubbed the ‘Hilbert session’ in memory of David Hilbert’s outstanding example almost a century ago. Unfortunately, time constraints prevented the session from from going forward. But the highly positive response from the invitees, as well as from others who had heard about the idea, suggested that a book could be an alternate and appropriate forum for implementing the idea. The stray mentions of Hilbert in some of the essays thus hark back to the origins of this book. Needless to say, the essays were not written with the aim of being either as definitive or as predictive as Hilbert’s talk turned out to be. Bahrain Alidaee is an associate professor of Operations Management at the Business School, the University of Mississippi. His research interests include combinatorial optimization, heuristic programming, and game theory. He has published more than 40 articles in journals such as Management Science, Transportation science, IEEE Transactions, European Journal of OR, Journal of Operational Research, Computers and Operations Research, Production and Operations Management and other journals. He is a member of INFORMS, DSI, APICS, and POMS.